Thank you for choosing us to be part of your child’s healthcare team. You are your child’s most important caregiver, and we look forward to working with you to make sure your child stays healthy and happy. 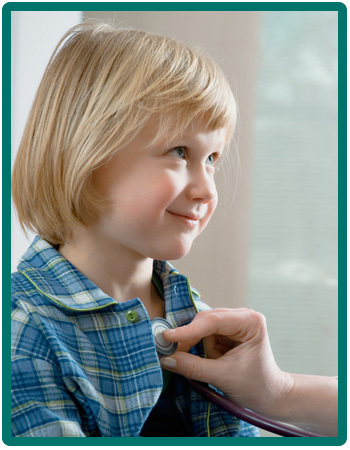 We encourage regular well child visits for healthy children. We also fully coordinate care for children with disabilities, chronic illness, and other complex medical conditions. Having a baby is one of the most rewarding experiences of your life, but it can also be a time of confusion and apprehension. We are committed to keeping your baby healthy and to providing you with the tools needed to parent with confidence. All expecting parents should feel free to schedule a Prenatal Consult with one of our physicians who can answer all of your questions about our practice and about parenthood in general. We are affiliated with Saint Peters Hospital in New Brunswick New Jersey. Once you have chosen a physician from our practice and notified your obstetrician of this choice, the hospital will notify us when your baby is born. One of our physicians will examine your baby while you are both at the hospital, and then you will have an appointment at our office a few days after you take your new baby home. If you are joining us from another state or another practice, welcome! If you have not yet chosen a Primary Care Physician (PCP) for your child(ren), please take the time to visit the “Meet Us” section of our website, where you can view the profiles of each of our providers. We are also happy to schedule a New Patient Consult for you. Please make sure that you have arranged for the transfer of all medical and immunization records, and please notify your insurance company of the change that you are making, as well. Prior to your first appointment with your child(ren), please download, print and complete the “New Patient Questionnaire” and the “Family Medical History” form, both of which can be found in the “Forms” section of our website.